I’m answering a few of the questions you asked over on Instagram recently. How do you feel about “Normal People” using your strategies? How do I know when I’ve reached my clutter threshold? Do I declutter my fridge on a regular basis? Do I have a system for organizing my fridge and pantry? What’s an area you have decluttered that you have to work pretty hard to maintain? What’s an area you’ve decluttered that has pretty much stayed decluttered? Also mentioned: Podcast about how to declutter without making a bigger mess. Sponsor: Betterhelp.com/clean. 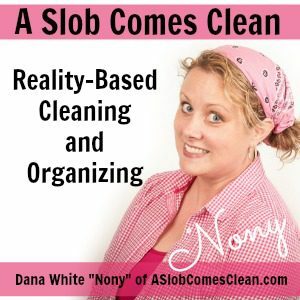 A Slob Comes Clean listeners get 10% off your first month with discount code CLEAN. Read Newer Post Large Family Laundry Day – It CAN be Done! The emails come into my promotion list. I want the email to come into my in box. ON a desktop computer (I don’t think it will work on mobile), try dragging the email into the Primary tab. I did this before I opened the email. I just clicked, and held the mouse button down while dragging it to that column. After I did that, a box popped up at the bottom asking if I wanted to have all things from that sender go to my primary inbox. Hope it works for you!